Waterproof, Tear Resistant & Floats. Same detail as Hotmaps Premium mapping SD cards. Highly Detailed Underwater contouring with depth ranges. 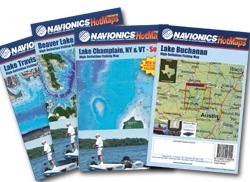 Lake Havasu South map covers from the Winsor Basin south to the Bill Williams arm.